An outstanding course, spectacular scenery and the friendliness of our staff and members are just a few of the many reasons to become a member of Dumfries & Galloway Golf Club. In common with other private members golf clubs, our joining procedure is by way of introduction, with candidates being proposed and seconded by current members. We are also happy to accommodate those that are moving into the area that do not know any current members. 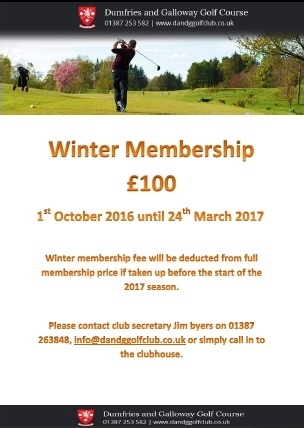 If you would like more information about joining Dumfries & Galloway Golf Club please complete and submit the Membership Form.